Nichole Tiernan is sounding the alarm for conservation of some of the world’s princess flowers, which are more in trouble than previously thought. In a study, the FIU biology Ph.D. student found one species residing only in Jamaica should be listed as critically endangered by the International Union for Conservation of Nature (IUCN), elevating its need for conservation since it’s currently listed as endangered. She also argues other currently unlisted species should be listed, including two as critically endangered, one as endangered and one as vulnerable. The IUCN is the global authority on the status of the natural world and the measures needed to safeguard it. Tiernan’s study hones in on ten species of melastomes in the Melastomataceae family. Some species in this family are commonly referred to as princess flowers. She examined what each looks like on the outside and, for the first time, considered where each species lives across their entire geographic range. Nine of the species are found in Colombia and Venezuela. Social and political unrest makes field work in those countries a challenge. Tiernan relied on collections from The New York Botanical Garden and specimens on loan from other institutions to carry out her research. The Melastomataceae family is one of the largest plant families in the world with more than 5000 species found throughout the tropics. Some are grown as ornamental shrubs and used in landscaping. Others found in the wild are important sources of food for birds, insects and mammals. The study was done at The New York Botanical Gardenwith co-author Fabián Michelangeli and in collaboration with three other global institutions. It was published in Brittonia. Descriptions, field photos, microscope images, illustrations and maps of where the species are found are available online for scientists and the public to access. Tiernan’s study was part of the National Science Foundation’s (NSF’s) Planetary Biodiversity Inventory, a global effort from 2004–2009 to examine select plants or animals, including plant bugs, goblin spiders, slime molds and catfish. Only 5 to 15 percent of all life on the planet has been discovered and described, according to the NSF. These inventories can help scientists answer the most basic biodiversity questions, understand and predict changes, and conduct similar inventories. Tiernan is studying plumeria shrubs at Fairchild Tropical Botanic Garden as part of her doctoral research. Her graduate advisor is Javier Francisco-Ortega. 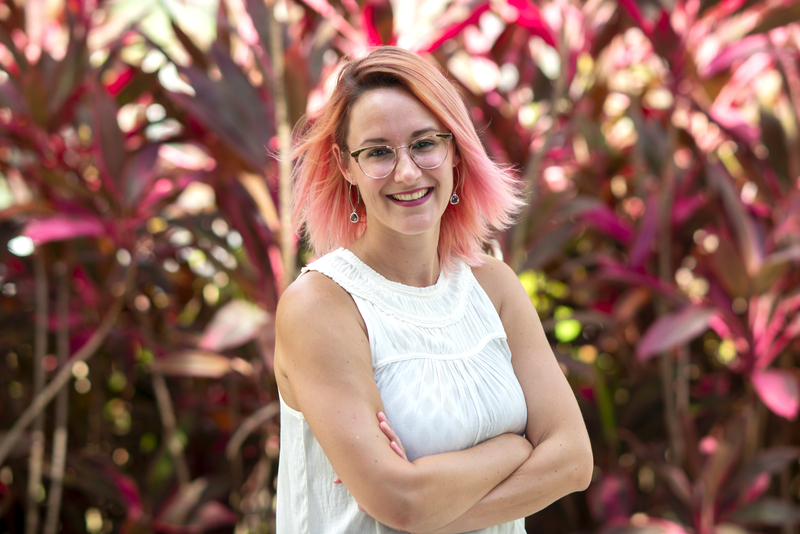 She is a Ph.D student in the International Center for Tropical Botany at The Kampong, a partnership between FIU and the National Tropical Botanical Garden.